“Katana of Choice” by Nicole Lizée is a 2019 Juno nominated composition! Ben Reimer has been called a “genre-bending wiz” (PuSh) and a performer of “stunning virtuosity” (Ludwig-Van Mtl). 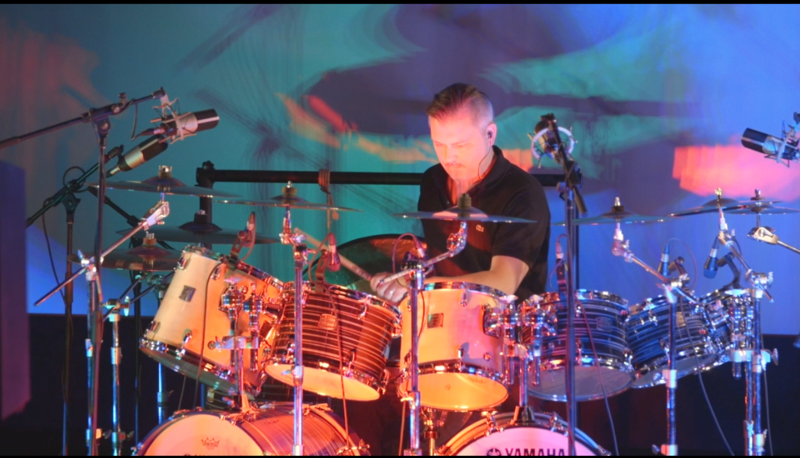 He has spent the past fifteen years establishing himself as a leading figure in contemporary drumset performance. Ben’s collaboration with composers such as Nicole Lizée, Eliot Britton, Vincent Ho and Lukas Ligeti have resulted in a unique collection of solos, chamber works and concertos for solo drumset. His debut album Katana of Choice: Music for Drumset Soloist (Redshift Records) is described as “an exhilarating musical ride” (Wholenote) and “a modern classic” (I Care If You Listen). Reimer holds a Doctor of Music and teaches percussion at the Schulich School of Music, McGill University. He is a member of Architek Percussion Quartet (Montreal) and Park Sounds duo (with violist Jennifer Thiessen) and is a Sabian Cymbals, Yamaha Canada and Vic Firth artist.